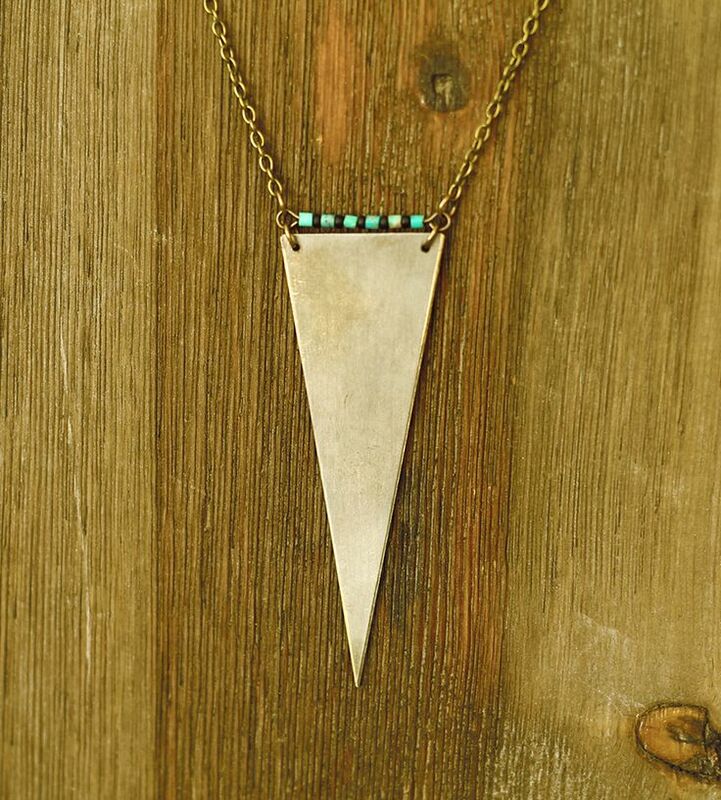 Brass is a universal metal for making Jewelry. 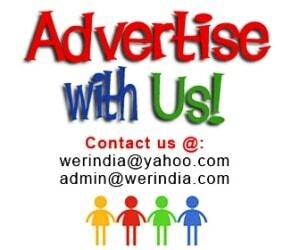 It is also one of a kind metal which goes well with other materials too. Earrings Rings, Chains, Pendants everything can be done in this metal. The metal itself looks amazing and most of the modern jewelry designs are done on them, but the product looks more amazing when clubbed with other materials. 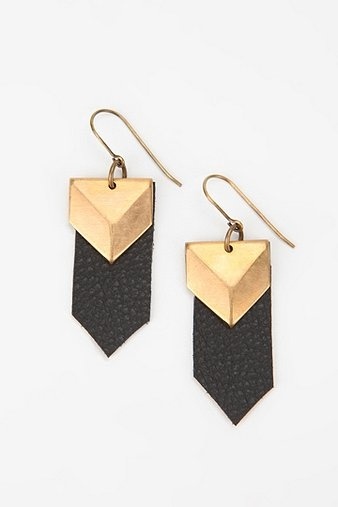 The other materials which go well with Brass are Leather, Wood, Stones, Beads etc. Lets have a look…..
Brass used with colorful Beads looks interesting with the use and play of different colors against the single gold color. Brass and Plastic– The use of brass with plastic here looks smart and is a modern take on mixing materials. 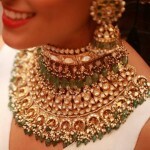 Brass and Semi Precious Stones– Semi precious stones can also be used as an addition to the design for a better look. 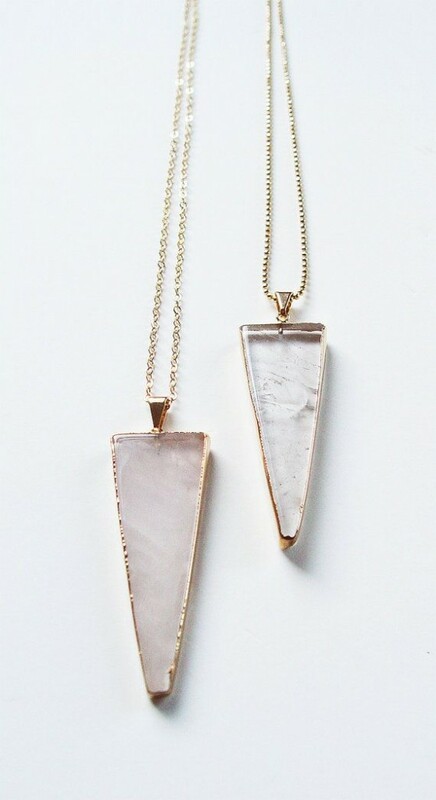 Here Rose Quartz is used with a metal base made of brass. 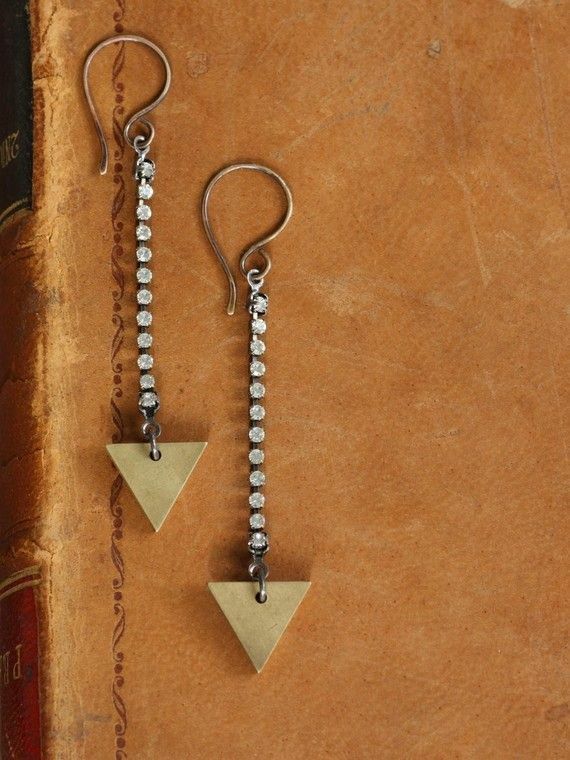 Brass and Rhinestone– Brass combined with Rhinestone compliment and balance each other, as the texture and shine of each other balances the Matte and the Shine effect of both the materials. 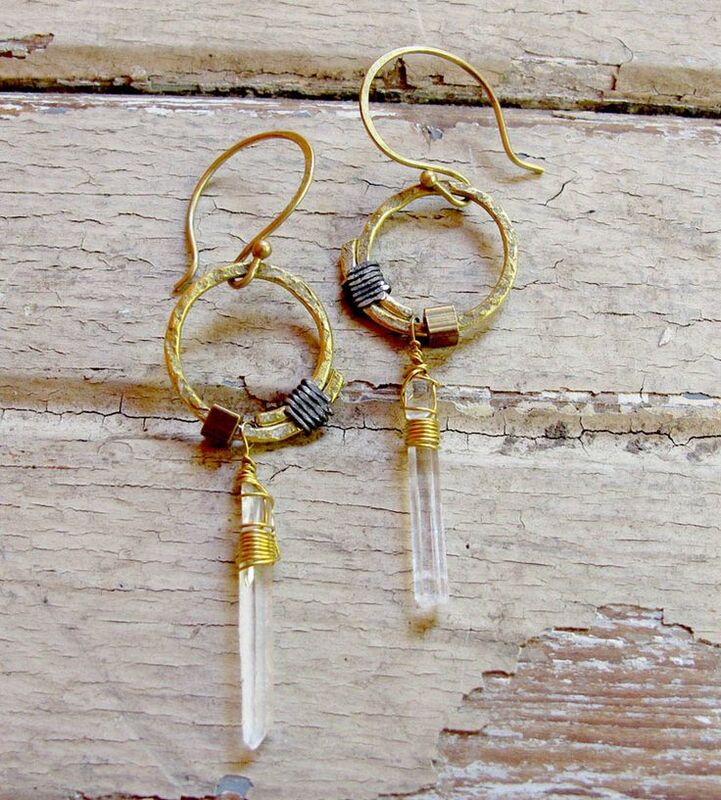 Brass and Crystal– The metal can also be combined with one strong element in the form of a bold crystal shape added to the design. 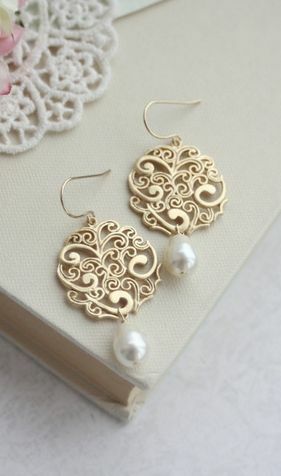 Brass and Pearl– The pearl in the form of drop looks interesting to finish the bottom of the earring, but the pearls can be used in different ways too. Like a bunch of pearls or one can experiment with the positioning of the pearl in the design. 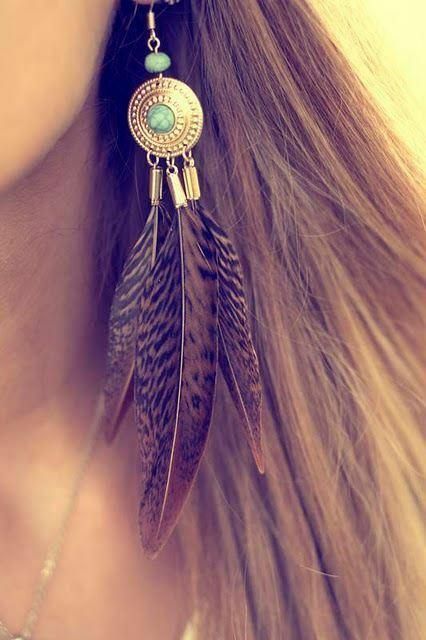 Brass and Feathers– They look good together for a modern contemporary piece of jewelery. 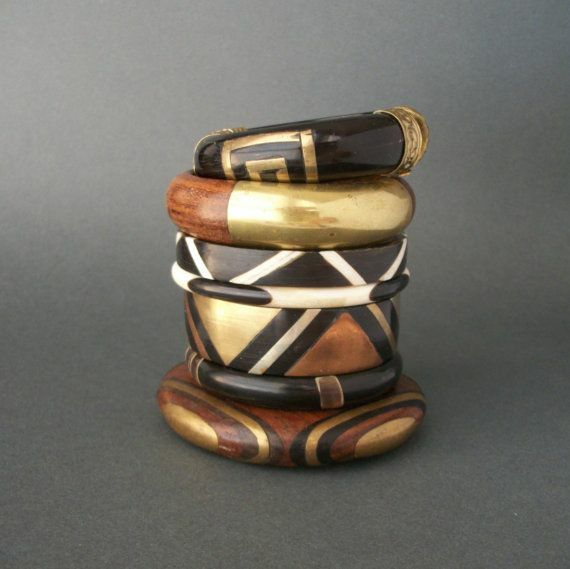 Brass and Wood– Brass and wood together is a very chic and sophisticated combination and is idle for a modern day jewelry. Brass and Leather– They both make an amazing combination together with a mix of hard and a fragile look to the product.